Okay books are the hardest for me to review. For books I love I'm always ready to gush and with the books I dislike, I feel very opinionated about. But what about those in between ones that aren't quite bad but aren't quite good either? 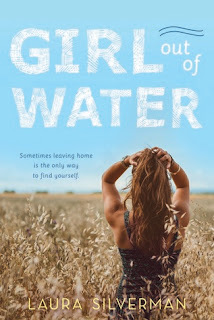 That's how I felt about two recent reads, Girl Out of Water by Laura Silverman and Cold Summer by Gwen Cole, and the reason why I'm choosing a slightly different format for this post. 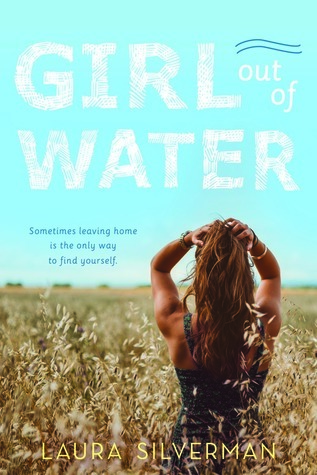 Girl Out of Water is about California girl Anise Sawyer who spends most of her days surfing and hanging out with friends. But when her aunt, a single mother of three, gets into a car accident, it forces Anise and her dad to spend the entire summer in Nebraska to help out. And what initially starts off as a difficult and lonely situation becomes an eye-opening experience for her. Anise meets Lincoln, a gorgeous skater who goads Anise into skateboarding but more importantly, shows her that there's more to out there than just staying in her hometown forever. It also makes her realize friendship take work and actively keeping in touch, which gives her a much-needed glimpse into what college will be like when they all go there separate ways. On the surface, this sounds very much like a book I would love. It highlights important friendship growing pains, involves growing up, close family bonds and of course, romance and yet.. I couldn't quite connect to it. Often times Anise seems to be going through the motions and we're just shown what she's doing but there was no insight or connection into her character. Which is exactly the same problem I had with Cold Summer. Cold Summer intrigued me for numerous reasons – the main one being that I love a good time-traveling story. I was hoping for something along the lines of Tamara Ireland Stone's Time Between Us but unfortunately Cold Summer never hit that emotional note or level of depth in her characters. We alternate point-of-views between Kale and Harper, although the former is clearly at the center of the book. Kale travels between the present where he's a high school dropout and the past, where he's a soldier in World War II. He's been time-traveling his whole life but never as much or as dangerously as this. He's also never been in control and lives at the whim of his "abilities". He's tired of it and when Harper, the girl who used to live next door to him, returns, all the unspoken feelings between them begin to flare up again. And while I liked the concept of the story, the execution fell short. I never connected to either character and as a result, it made it difficult to feel invested in the romance. I finished the book only because I was curious as to how certain plot lines would get resolved. Do I recommend? : Both books are in that middle area for me. I can't say I'd personally recommend either to friends but if the plots interest you, check them out and see if you feel differently than I did. 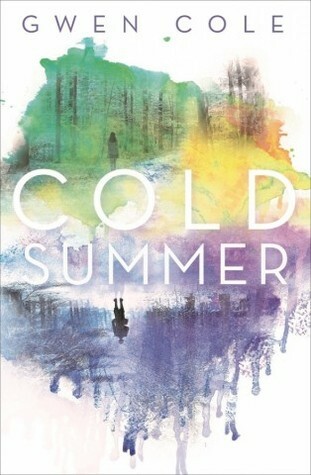 I absolutely agree about COLD SUMMER - that story just really missed the mark for me. I think the concept was awesome and could have been so much better. The concepts for both COLD SUMMER and GIRL OUT OF WATER both sound really interesting! I'm sad to hear that they didn't quite hit the mark for you however, which makes me a little more wary about picking them up since our tastes are so similar.